Background The social media platform Facebook boasts of having more than 1,284 million daily active users globally. A large proportion of adults use the internet to seek health-related information. Aim To critically analyse the use of social media to engage parents of children with attention deficit hyperactivity disorder (ADHD) with the findings of clinical research. Discussion Observation and qualitative content analysis combined with Facebook Audience Insights were used to evaluate the levels of engagement and interaction with different types of research information. More than 1,100 people from 41 nations engaged with the group. Sharing information through a range of Facebook functions was found to successfully achieve engagement and reach this demographic nationally and internationally. Conclusion Lay research users are eager to engage and understand clinical research. Social media platforms are an appropriate way to disseminate research. 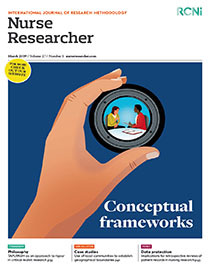 Implications for practice This paper presents a much-needed evidence-based framework that nursing and health researchers can use for effective communication.